_ Participate in a five day certified international course on international criminal justice coordinated by the University of Zagreb, Croatia in collaboration with the World Engagement Institute Chicago, US, and the Sustainable Capacity International Institute (SCII), Italy. The program features lectures and interactive learning activities guided by experts in international crime prosecution and scholars from University of Zagreb (Croatia), DePaul University (Chicago, US), and the Max Planck Institute, Freiburg, Germany. International Criminal Justice is a complex issue which must be addressed through collaborative, international, intercultural and multi-disciplinary engagement. This international capacity building course is an example on how to address different parts of the issue, from legalities to working practicalities., while centering on the legal, practical and intercultural insights. 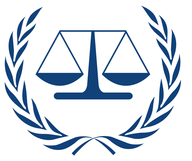 Presentations and discussions will investigate the law and politics of international criminal justice. Lead by a senior panel of international experts, program instructors are experienced faculty from American and, European academic institutions. Participants will obtain certification from both the World Engagement Institute (WEI) and University of Zagreb, Croatia. Trainings and specialized courses in the Balkans are provided in collaboration with the Inter-University Center (IUC) in Dubrovnik, Croatia. The Inter-University Centre (IUC) in Dubrovnik is an independent international institution for advanced studies structured as a consortium of universities with a mission to organize and promote contact and exchange through projects, study programmes, courses and conferences across a wide range of scientific concerns. Programme directors and resource persons coming from about 170 member universities worldwide cooperate in organising the activities. IUC is open to new member institutions as well as to new programmes. Learn more about upcoming Crime Prevention through Criminal Law & Security Studies program. __ The course format involves lectures from international experts, practical applications through formal debates and informal debates among the international audience. Participants will be able to present their own papers/PhD projects relevant to the topics before a competent panel of senior researchers and professionals. _ This program is designed for graduate students, law students and professionals with a strong interest in international criminal justice. Required qualifications include international travel experience, cross-cultural competence and substantial working experience in a related field. She/he should be willing to engage in international capacity building collaborative projects addressing the needs of the host country. Successful completion of the program requires coursework, cooperation and teamwork. _ The World Engagement Institute offers partial and full scholarships to qualified candidates. It includes the tuition cost for the certificate, training materials and the certification paper. It also covers six nights at a hotel, breakfast and lunch and local transportation (including local trips and transfer to and from airport). Participants will arrange their own air travel arrangements. _ The program runs yearly at the end of March. Qualified candidates should use the online form registration or submit a cover letter explaining their career interests,, an updated curriculum vitae and one reference letter. Registration is currently open. Address further inquiries or completed applications to programs@weinstitute.org. Notification of acceptance will be sent a week after receiving the application and no later than February 28.